I was ready for the snooty people. For the cheese to be too stinky. For the art to be too…arty. I was ready to not like Paris at all. But the cheese didn’t offend. The art wasn’t obnoxious. And the people were downright delightful. Of all of the cities in my Travel Guides, Paris takes the cake for its unparalleled art and food scene and—dare I say—delightful people. It was my first time in the city, and even though it was a quick six-day trip, we were able to see and do so much. Knowing where to stay in Paris and picking a central arrondissement (aka neighborhood or district) definitely helped. 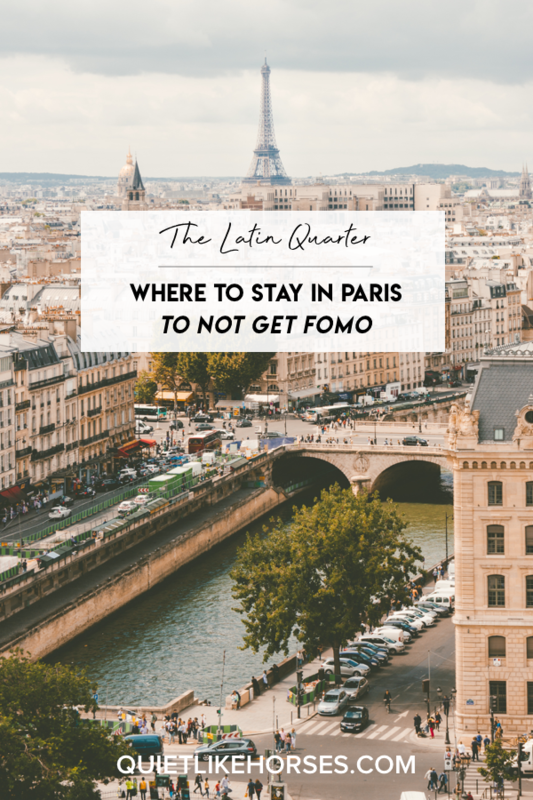 Paris is a huge city, so it can be overwhelming when you’re trying to find where to stay in Paris in the thick of the action. On a short trip, you don’t have much time to waste, so it’s best not to stay too far away from all the things. After doing a bit of research, I picked a hotel in the Latin Quarter. I didn’t really know what to expect, but it turned out to be just perfect for James and me. We both love exploring by foot and the Latin Quarter and its surrounding arrondissements are beautiful to walk to and through. And if we were crunched for time, there were plenty of places to catch the subway (called the Metro). The 1st arrondissement: If you want to see the Mona Lisa (and if you’re in Paris, you kinda have to see her) in the Louvre and all of Monet’s water lilies in Musee de l’Orangerie, you’ll need to get to the 1st arrondissement, about a 20 minute walk from where we stayed in the Latin Quarter. The 3rd arrondissement (Marais): This district is home to hip eateries, shops and the Picasso Museum, all about a 30-minute walk away. The 4th arrondissement (Marais): The famous Notre Dame is a quick 15-minute walk. The 6th arrondissement (Saint Germain): You can frolic in Luxembourg gardens (5 minutes from the hotel); shop; and taste test macarons from all the macaron heavy hitters like Laduree and Pierre Herme (about 15 minutes from the hotel). The 7th arrondissement: You’ll find Musee d’Orsay (my favorite museum of the ones we visited) here, about a 30-minute walk from the Latin Quarter, and the Eiffel Tower, an hour’s walk away. If you’d rather save some steps, hopping on the metro is a nice alternative. It’s a straight shot there from Select Hotel Rive Gauche. The 12th arrondissement (Bercy): Known as a residential neighborhood, the 12th arrondissement is fun to explore if you want a break from all the tourists. There are tons of shops, award-winning bakeries and delicious spots for lunch—all about a 40-minute walk from our hotel. Here’s a handy guide and map of Paris’ arrondissements. There’s so much to see in Paris that you should pick a place to stay that’s close to most of the things you want to do. If you want to see the famous museums; landmarks like the Eiffel Tower and Notre Dame; and be near hip shops and restaurants—with the opportunity to hang with the locals in lively residential areas—the Latin Quarter is for you. Except for the day that we took the train to Versailles for a day trip, we walked almost everywhere, covering an average of 10 miles a day. 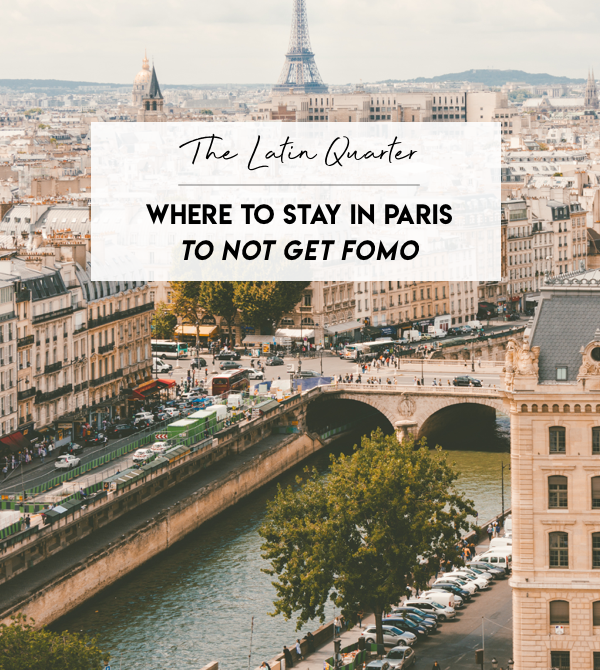 But even if you didn’t want to walk as much as we did, staying in the Latin Quarter would save you time on the Metro or in an Uber getting to all of the city’s hot spots. Women in Paris somehow look amazingly chic, even when it’s raining and grey out. Fit right in—and explore in comfort—with these Softwalk Rocklin booties. 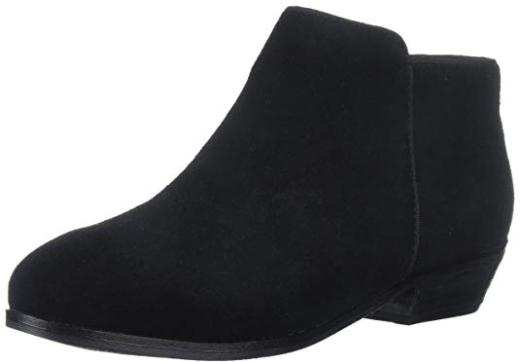 They’re cute and sooo comfortable, especially for wide feet! I have the black suede pair, which required absolutely zero break-in. Have you been to Paris? Where did you stay? I would love to hear your recommendations about where to stay in Paris! Parfait! Merci pour ici. Looking forward to your next Paris recommendations.